Now sporting a fresh look to go along with its fresh beef, a Wendy’s along Route 7 has reopened following renovations. 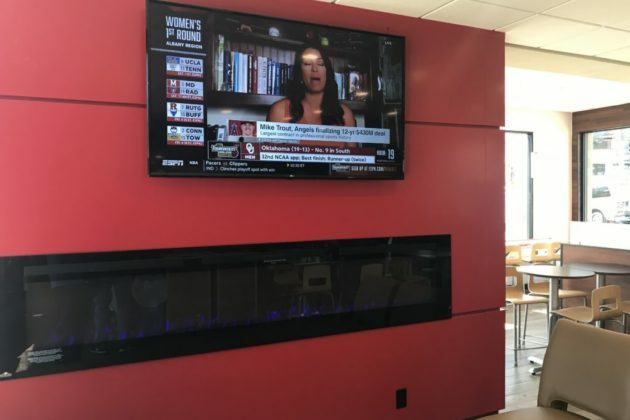 The fast food outpost now features an electronic order status display, a faux fireplace, a Coca-Cola Freestyle drink machine and a flat panel TV currently tuned to ESPN. 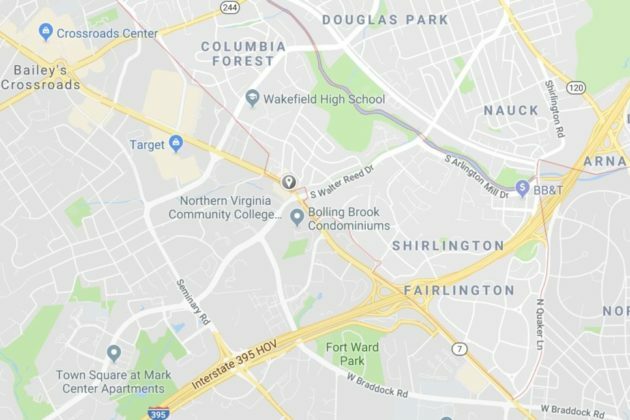 Located at 5050 S. Chesterfield Road, not far from Wakefield High School, the renovated Wendy’s sits next to a 7-Eleven store and a Taco Bell, on a small peninsula of Arlington County surrounded on three sides by the borders of Fairfax County and the city of Alexandria. The renovations are nearly identical to those at the recently reopened Wendy’s at 3431 Columbia Pike. 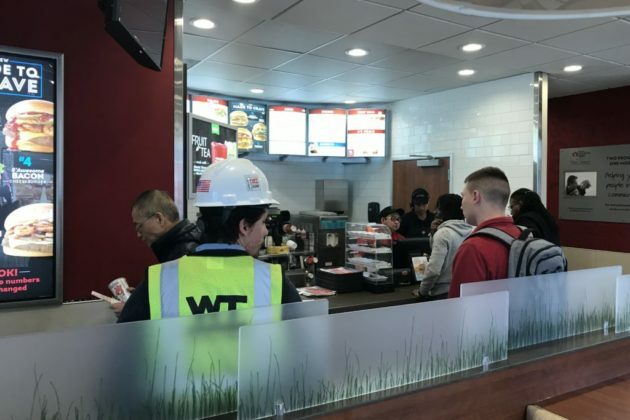 With revitalized decor, comfortable seating and other amenities, customers will enjoy a stunning new Wendy’s® experience when they visit the remodeled restaurant at 5050 Chesterfield Road, Arlington, VA beginning March 16. The restaurant was remodeled using an innovative interior and exterior design, which is part of an ongoing effort to provide an enhanced customer experience — from the high-quality food to the restaurant environment. The interior showcases open, bright dining areas with multiple seating options, including private booths, cozy lounge seating and a Wi-Fi bar. A Coca-Cola® Freestyle® beverage dispenser that allows customers to customize their drink choices is also available. The touch screen, self-serve fountains offer over 100 regular and low-calorie beverages, including a variety of branded waters, sports drinks, lemonades and sparkling beverages. 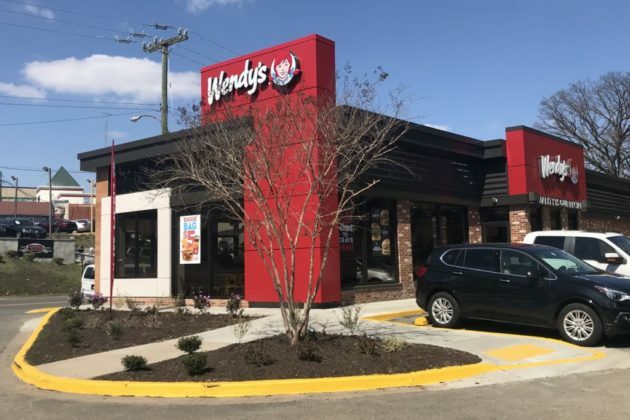 “Our ultimate goal is for our customers to have the best dining experience, and we think they will be surprised and excited about their new Wendy’s,” Islam said.